Bangalore, 7 June 2018 – Wooplr Technologies Pvt. Ltd. today unveiled their social commerce platform to the media for the first time. The eco-system brings together social sellers, brands, and consumers through a proprietary, cutting-edge technology platform. 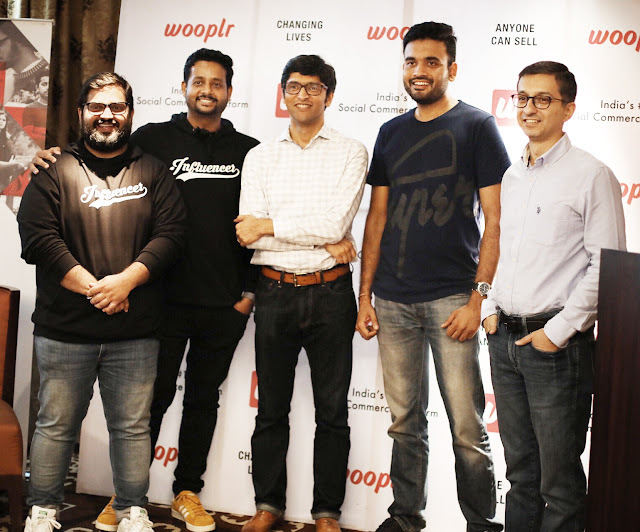 Wooplr is the first Indian start-up to disrupt the country’s e-commerce space by pioneering the social commerce revolution. The platform envisions to be India’s first social commerce unicorn business empowering 1 Million social sellers by 2022. As a result, building the World’s largest social distribution network for retail. Wooplr has already created a pan-India network of 30,000 social sellers who speak over 20 languages and reach out to over 10 million customers spread across 250 towns and cities primarily from the Tier-II/III regions. Wooplr allows anyone to open up their online store in under a minute, add products from their catalog and start selling on social platforms like Whatsapp, Instagram, Facebook, and Youtube. The social sellers earn a profit on every sale made on their store, while Wooplr takes care of all the background work like shipping, payments, returns and customer service. Wooplr’s social sellers get to choose from 1 lakh products from over 300 brands. The platform claims to have a staggering growth rate of 20% month on month owing to the diverse range of social sellers that find the platform quite useful and easy to use & scale. Wooplr expects the network to drive sales worth $50Mn by the end of the current financial year. Wooplr Technologies Pvt. Ltd. today unveiled India's first social commerce platform with a vision to empower 1 million Entrepreneurs by 2022. Seen in the picture (L to R) Ankit Sabharwal, Co-founder & CPO, Wooplr, Arjun Zacharia, Co-founder & CEO, Wooplr, Rahul Chandra, Managing Director, Helion Ventures, Ankit Nagori, co-founder CureFit, Dhruv Kapoor, Managing Director, Sistema Asia Capital Advisory at the event.